Technically, creating a high value WordPress Blog isn’t difficult. All you need to do is find some tutorials and get a site up and running. There are plenty of blogs and videos that can teach you all the little details. Building a blog doesn’t mean it’s valuable. Or even useful and engaging to visitors. The real challenge is to make the blog worth reading and have visitors coming back for more. You can greatly improve the function, value and success of your blog (yes, I mean traffic, conversions and… money) just by making some simple tweaks to your site. I’m going to show you some basic WordPress optimization tips that anybody can do to boost traffic and engagement, make your visitors happy, and possibly even put more paper in your wallet. The right title and description mean everything when it comes to getting free, organic traffic from the search engines. If the title and description don’t make it crystal clear what people will learn or get from clicking through to your site, then they won’t click. Titles and descriptions are also factored in to Google when ranking your site. So be sure to know what people want and the words or problems they are searching for. These issues are easily managed by using the free WordPress SEO by Yoast plugin. It is by far the most powerful, popular and simplest option to use. Yes, they are important for a ton of reasons. Images and videos help boost engagement, break up text, add beauty, clarify the topic, make a point, direct the reader and much more. Just like you would use the right keywords in your content, headers, links, titles, etc… You need to optimize your images and other content (like PDFs!) and for the same reason – to help people and rank your site. When you upload the file, use the keywords and phrases that your audience is searching for andadd them in the title and alternate text. Stop Slamming Visitors with Too Much Stuff! People are overloaded with information today. When people get confused and overwhelmed, they leave. That’s why you need to think strategically to get the most bang for your buck. First, use landing pages. If you’re sending people to a page where you want them to take one specific action, you MUST use a landing page… every time. Let’s say all you care about is making a sale. Does your page link to other pages? To blog posts? Or away from your site? Get rid of those links! Your page should only have one focus, getting that sale. The only place they should be able to click is a purchase button or a link to a page that has a purchase button. Make it simple for your visitor. Again, stop killing your visitors with too much stuff. So if your sidebar is loaded with social share widgets, ads, or anything else that is doing little to nothing (grow your email list, increase time on site, or making sales), kill them! When in doubt… test it out. If you don’t know if your sidebar widgets are actually contributing, then pull them from the site for a while and watch your stats. If anything negative happens, put them back. Does that mean you have to hide everything? Putting content in the footer is a super clean place to still make it available without overloading the visitor. So put your bio, social buttons, navigation and another opt-in right at the footer. People often scroll to the bottom to learn more, so give them more. For all this on site stuff – landing pages, sidebars, footers – I love everything from Thrive Themes. They offer themes and plugins (including page templates) for anything you need. Best part, everything they create is done for the sole purpose of marketing and conversion (works for blogs, too). Okay, that’s it for the basics. Oh wait, clean up your permalinks! Nobody likes a site that looks like site.com/%et25%to/ (how do you even share that?). 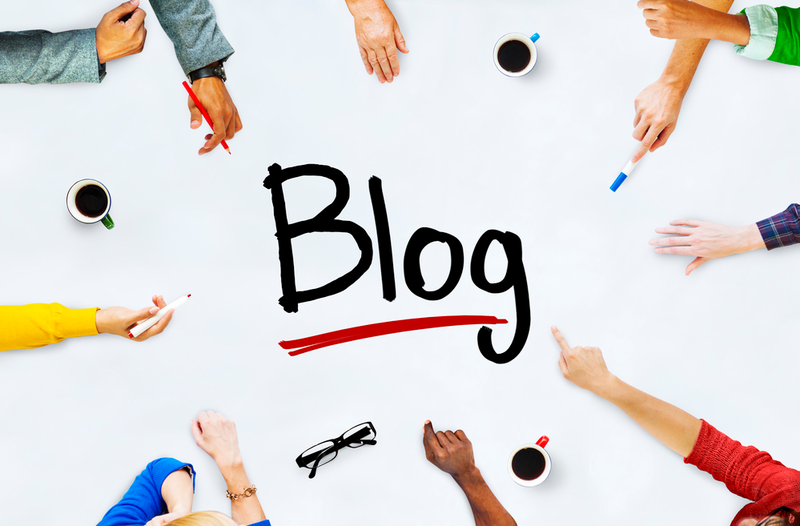 Do these things today and you’ll start creating a more effective and successful blog. Don’t do them and you’ll likely see less traffic, less visitor time on site and less money! Know more about blogging & SEO related tips here.